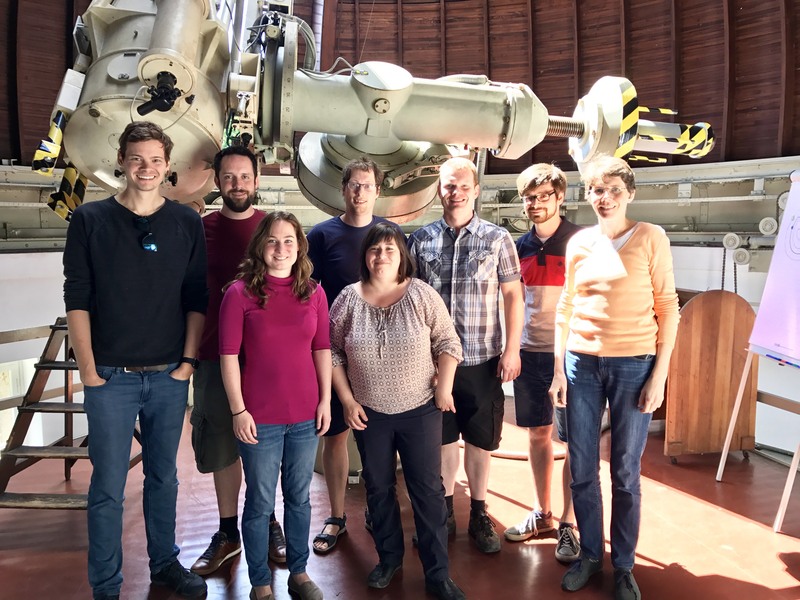 In the week of 29th of May till 2nd of June, 9 brave CARS teamm members met at the Leibniz-Institute for Astrophysics in Potsdam to discuss the progress of the survey, analysis data and preparing upcoming papers. What a productive meeting and a great and enjoyable time for all members of the team. We all thank T. Urrutia and M. Kumpe from the AIP for organizing the fantastic meeting. Participants of the CARS team meeting in the front of the 50cm telescope at the AIP.